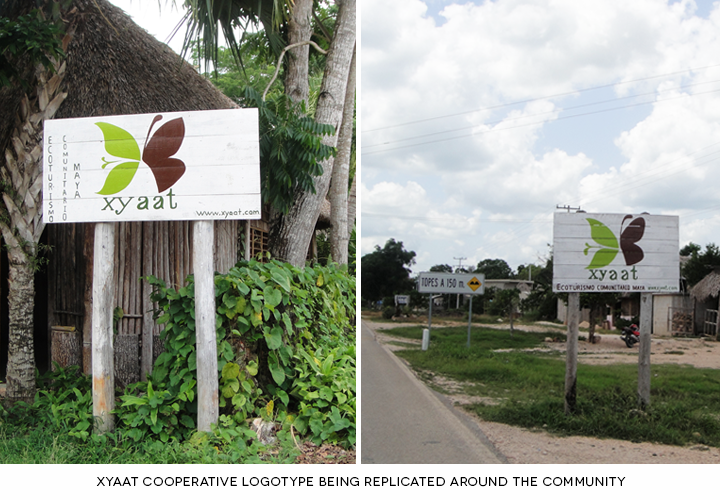 The Xyaat Cooperative is an initiative of community members of the town of Señor, in Quintana Roo (Maya Riviera), Mexico. Under the direction and guidance of Marcos Canté and different non-profit organizations of the area, the community has organized tours that share their Maya heritage and culture to tourists. 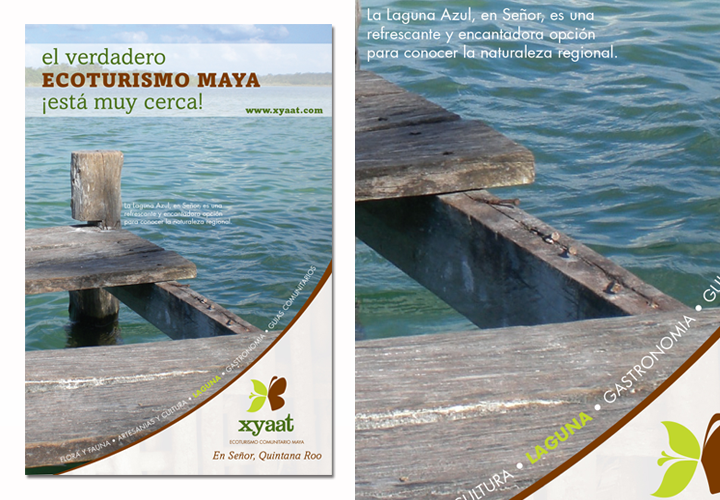 These tours include visits to houses of important members of the community (including a storyteller and artisans), visits to the local lagoon, and local gastronomy. 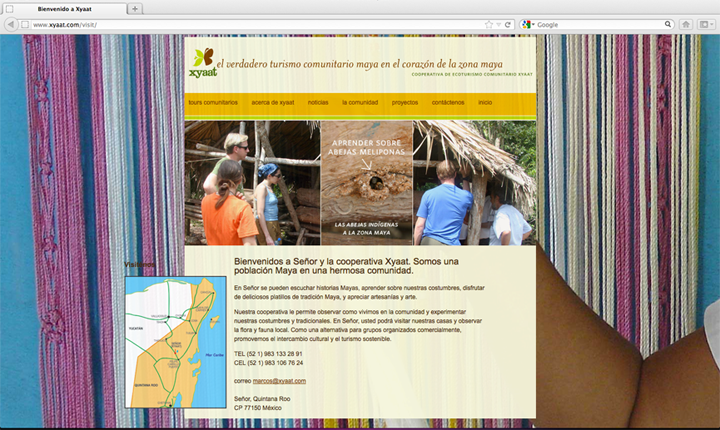 This collaborative project started with a design research visit to the region in February, 2008. Later on, I had the opportunity to make two more visits, in August of 2008 and January of 2009. The project extended until November, 2009. The designed materials included stationery, logotype, postcards and brochures, and a website developed in Joomla, which allows different users to manage content at the same time. The projects carried out with this and other Maya communities were based on the development of collaborations and the exchange of knowledge, as part of our intention to understand audiences, systems, and proceses in other contexts using different design research methods. For more information visit xyaat.com. D4D PROJECT COLLABORATORS: Maria Rogal, Doug Barrett, Ligia Carvallo, and different undergraduate student groups from the University of Florida.